One of the main principles of the CRUK Cambridge Centre is the open exchange of scientific knowledge and skills across the many disciplines involved in cancer science, creating a culture of continuous learning and development for all members. The Centre also supports a broad programme of formal education and training, encompassing both research expertise and clinical procedure, to nurture the next generation of cancer researchers and doctors. 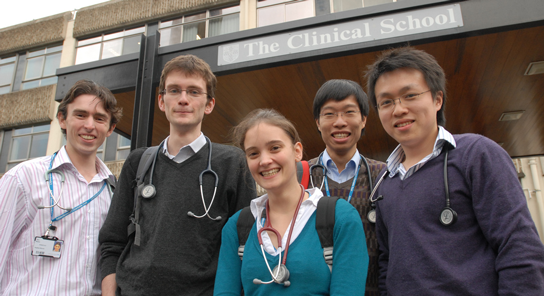 Learning takes place across several University Departments and at various sites on the Cambridge Biomedical Campus. Cambridge University offers world-class teaching in biological and medical sciences, providing a firm foundation for undergraduates and graduates preparing for a career in cutting edge cancer research. The Centre offers an Integrated Academic Training Programme to equip translational scientists with the skills and experience they need to progress in their combined research and clinical careers. With over 200 leading research groups in translational cancer science, the CRUK Cambridge Centre offers a wealth of opportunities for postdoctoral research fellows to develop their careers.